Go here to see the Fiji yacht charter page. Fiji is often referred to as the ‘Crossroads of the South Pacific’. Because of Fiji's geographical location the Islands are a hospitable land of contrasts in people, flora, fauna and culture. Also, for yacht chartering splendor, she has some amazing islands, beaches, anchorages and marine life. 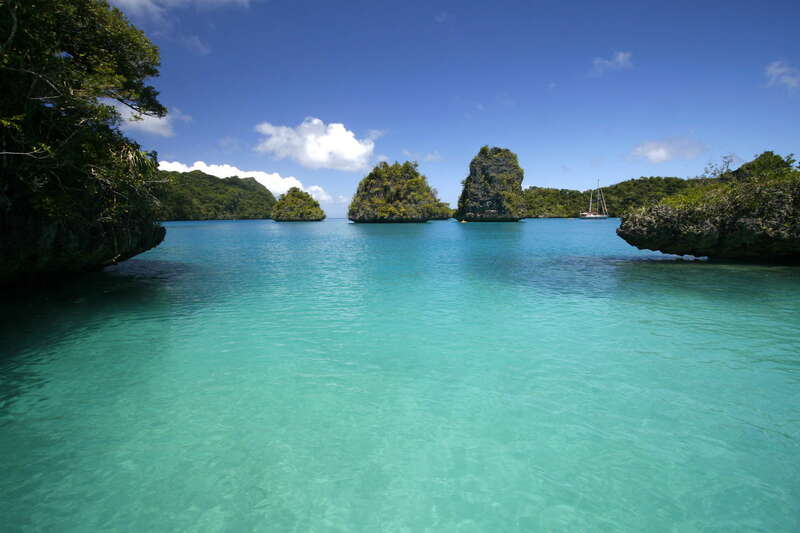 What better place to charter a luxury yacht and to explore the stunnig beauty and natural wonders of the South Pacific? Fiji is home to an Island people who have often been called the friendliest on earth! The Fijian Islands are made up of a chain of over 300 individual islands, which leaves plenty of choice for places to explore. The area is a cosmopolitan cocktail of culture, race and religion. It is a place where ‘bula’, the traditional Fijian greeting, is a very special and friendly word. Perhaps most important of all, is is a great place to charter a yacht where you can relax without a care in the world. The Fiji Islands have a population of a little over 750,000 people. The land area of 18,200 km is taken up mostly by the two major islands Viti Levu and Vanua Levu.